On my last blog, I introduced QR codes and why all suppliers and retailers should take note of this new technology. Today, I want to give examples of how QR codes can be implemented and become an important part of an effective marketing strategy. As QR codes become more prevalent, we are beginning to see innovative uses beyond print advertising and the like. We’re seeing them pop up on business cards, t-shirts, tattoos and even accessories such as belt buckles and cufflinks. So, first, I’d advise everyone to “think outside the box” per creative ways to use these codes and catch attention. The next big subject to remember is that the most effective strategies don’t include using QR codes simply to send people to your basic Web site. 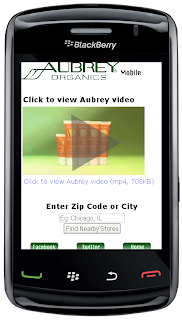 First, most Web sites are not adaptable or effective for mobile viewing. Yes, one can use a QR code for such, but there are so many types of mobile applications out there, that your Web site is unlikely to translate well and will be viewed poorly on most smartphones. In the least, you will need to work with a company that understands this and has the expertise to help you design a mobile landing page, as well as tools to allow the landing page to interpret the type of phone being used. Thus, immediately converting your landing site to the best viewing application for any smartphone out on the market. Lastly, just as in creating a Facebook or other social application, don’t jump in the waters and put out a QR code just to “keep up with the Joneses.” For the above reason, as well as because mobile users tend to have a short attention and use span, your QR code needs to be simple, effective and meaningful, or they won’t return. These are just a few ideas to get your thoughts going. Always remember that a key element of any marketing campaign is a “call to action.” Don’t allow your marketing to be boring or passé. Make it impactful, informative, exciting and motivate the consumer (or retailer) to take action. Increasingly, consumers are doing online research before making purchasing decisions, and soon the majority of online activity will be on a mobile device rather than a home computer. Many shoppers are already becoming accustomed to using their mobile phones during shopping trips for store locations, coupons, product information and reviews. Now is the time to invest in QR codes and mobile Web site strategies as a core part of your future marketing plans! INFRA is marketing with QR Codes in our SPC (Shared Promotional Calendar) monthly promotions. We are excited to jump into this marketing strategy early on as it has so much potential towards educating the consumer about products. Check out our flyers starting in July. I love using the QR codes. I love using the QR codes. If you have a smart phone, you really need to take advantage of these. Businesses put some hidden gems in their codes that can be anything from free products to coupons. I scan them everytime that I can. Businesses put some hidden gems in their codes that can be anything from free products to coupons. I scan them everytime that I can……. Nice explanation. I also had an issue faced with one of my shipments long back. That time, it was the QR code that helped to track the parcel.